Andhra Pradesh Transmission Corporation (APTRANSCO) has released a notification for the 134 Vacancies of Assistant Engineers in the state. There are two kinds of vacancies. Assistant Engineers (Electrical) and Assistant Engineers (Telecom). It is an Electrical Transmission Company owned by State Government of Andhra Pradesh. 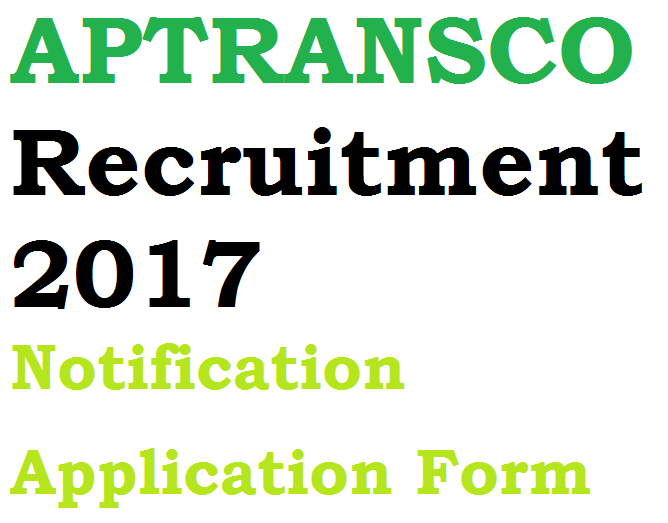 Candidates who have completed their Bachelor of Engineering or any Equivalent degree can apply for the APTRANSCO Recruitment 2018. Having a Government Job is a dream of many. And this can be your opportunity. The Eligibility Criteria for Age is of minimum 18 Years and Maximum 44 Years. However, there is relaxation in this criteria for Scheduled Caste / Scheduled Tribe Candidates as per State Government Norms. The Candidates have to apply at the official website of Andhra Pradesh Transmission Corporation (www.aptransco.gov.in) for applying in the recruitment process. First of all the Recruitment Procedure consists of the Written Examination. The Written Examination is also divided into two parts: Prelims and Mains. Based on the result obtained in the Written Examination, the candidates would be shortlisted for the Personal Interview. Dates for the Written Exams would be announced later on. But, the registration for it has been commenced on their online portal. As per specified in their Online Notification, all the selected candidates for the Job will get the minimum pay scale of at least Rs. 23,000/- per month. Application Fee of Rs. 150/- is to be paid while filling the application. If the candidate is from General Category, then he also has to pay Rs. 350/- as examination fee. Moreover, a person non-residence of Andhra Pradesh will be considered under General Category. The Application Fee can be paid at any A.P. Online Center or A.P. Online Portal. After paying the fees, the candidate will get Fee Payment Receipt with 12 Digit Journal Number. This Journal Number would be used for future reference. After paying the fees, the candidate has to log on to the official website with this journal number and carry on with the recruitment procedure. First of all you have to fill all the necessary details carefully. Enter the payment details, Passport Size Photograph and Scanned Copy of your Signature. And then check these details before submitting. After submitting the details you will get an acknowledgement of confirmation from the APTRANSCO. And also a pdf document of their application form. Further communication would be done through your mail id which you provided during the application procedure. All the best to all the Candidates, Go for it. You will get selected easily!